Nestle has removed the 4.5 Health Star Rating from its MILO powder in Australia and New Zealand, following claims from public health experts and consumer group Choice that the drink should only score 1.5 out of a maximum of five stars. All other MILO products remain unaffected, according to the Australian Broadcasting Corporation (ABC), and a new packaging for the MILO powder will hit the stores within the next two months. In an email to stakeholders, Nestle Oceania’s head of corporate and external relations, Margaret Stuart, said it has dropped the rating from MILO as it awaits the outcome of the government’s review of the Health Star Rating system, ABC reported. Stuart added that by doing so, Nestle hopes to avoid “further confusion” about how the rating system is designed, as well as “reduce the risk of damage to a system which is fundamentally sound”. The sugary chocolate powder was initially labelled 4.5 stars, with Nestle arguing that the product was designed to be consumed as three teaspoons along with a cup of skim milk. However, Choice was one of the groups that claimed the drink was not consumed in that specified manner among Australian consumers. According to a survey it conducted, only 13% of Australians drink MILO with skim milk, while 55% consume it with full cream milk. As such, it should only receive a 1.5 star rating. In a statement to Marketing, Health Promotion Board’s (HPB) spokesperson said HPB’s view is that there are no intrinsically bad food or good food. Eating healthy is about maintaining a balanced diet and eating in moderation. The spokesperson added that HPB does not encourage the excessive consumption of any foods, including those labelled with the Healthier Choice Symbol (HCS). According to the spokesperson, the HCS is a form of positive labelling, to help consumers make informed choices when grocery shopping. It indicates products as healthier options as compared with other products within the same category. The HCS has stringent criteria and strict guidelines which must be adhered to by companies applying for the HCS. Besides a rigorous application process, HPB’s HCS programme is also regularly reviewed so that it remains relevant to consumers’ consumption patterns, and wider health needs and priorities. Beverages carrying the HCS contain at least 25% less sugar, as compared with regular products in the same category. All HCS malted or chocolate drinks contain less than or equal to 6g per 100g of added sugar, which is relatively lower in sugar compared to many other malted drinks in the market. 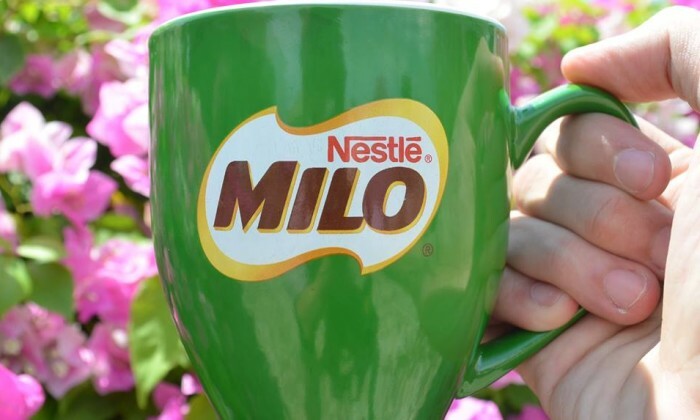 Marketing has reached out to Nestle Singapore for comments on whether the MILO powder in Singapore will be affected. Nestle clarified that MILO comprises 40% sugar, but that was only in its raw form before dilution. Consumers are hence recommended to prepare a cup of MILO using five teaspoons of MILO with 200ml of hot water, after which the total sugar is only 6%. Who “won” Chinese New Year 2018? This is in a bid to grow a creative moustache (also known as the "Kingstache") . ..